Step aboard Norwegian Cruise Line's Norwegian Pearl and prepare to be whisked away to some of the most exciting destinations at sea. Whether you’re dreaming of the crystal-clear waters of the Bahamas, the breathtaking Alaskan coastline, or an adventure on the Panama Canal, you’ll be sure to return home with unforgettable travel memories to last a lifetime. No matter which cruise best suits your travel needs, you’ll find an abundance of activities and culinary delights awaiting you onboard. This Jewel-class vessel boasts 16 diverse dining options, 15 bars and lounges, a state-of-the-art bowling alley, and top-notch live entertainment. 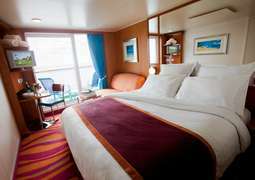 Norwegian Pearl is a leader in luxury cruising. 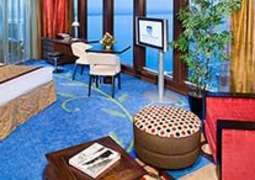 You’ll find a variety of stateroom options to suit every travel budget. Whether you’re seeking a spacious multi-bedroom suite, a smartly designed interior stateroom, or something in between, Norwegian Pearl has you covered. For passengers wanting to splash out, the Haven Garden Villa offers full butler and concierge service. Guests enjoy a spacious 4,500-square-foot living space with an additional 1,675-square-foot private balcony. 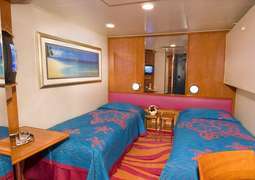 For budget-conscious travelers, Norwegian Pearl offers smartly decorated interior staterooms that can accommodate a couple to a family of 4. Along with complimentary dining options, which include your choice of dining room, buffet, or grill offerings, Norwegian Pearl offers a variety of specialty dining experiences to please even the most discerning palate. Whether you’re craving French cuisine, Italian, Japanese Hibachi, or an all-American steak, you’ll find the best in culinary delights prepared by expertly trained chefs. You’ll find an abundance of onboard activities for fitness fanatics, sports enthusiasts, and theatergoers alike. Norwegian Pearl offers a state-of-the-art fitness center, a walking/jogging track, and basketball, volleyball, and tennis courts, so you'll have plenty of ways to stay active on your holiday. In the evening, be sure to take in one of the spectacular shows Norwegian Pearl offers, such as ever-popular Legends in Concert Live. You’ll likely hear a tribute to your favorite entertainer and maybe even get the chance to sing along to your favorite song. 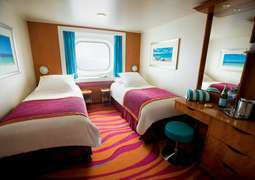 The dress code aboard Norwegian Pearl is smart casual. Formal attire is not required in any of the dining rooms. There are also “Dress Up or Not” nights, where formal attire is suggested but not required.